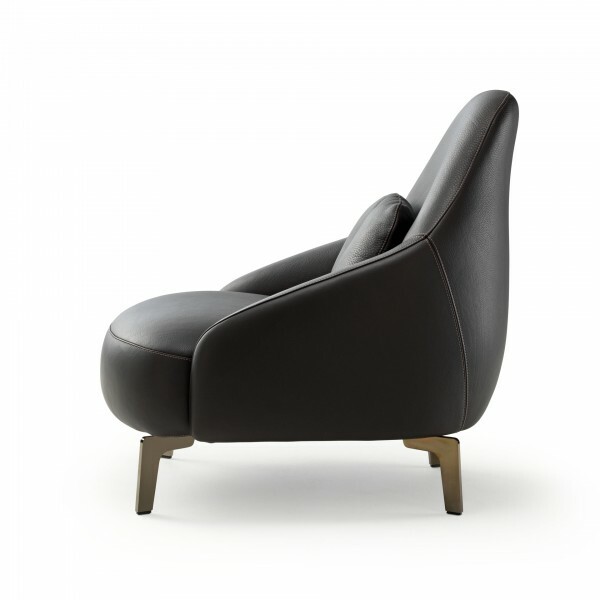 The design references a bygone era, inspired by 19th-century luxury hotel and home interiors. 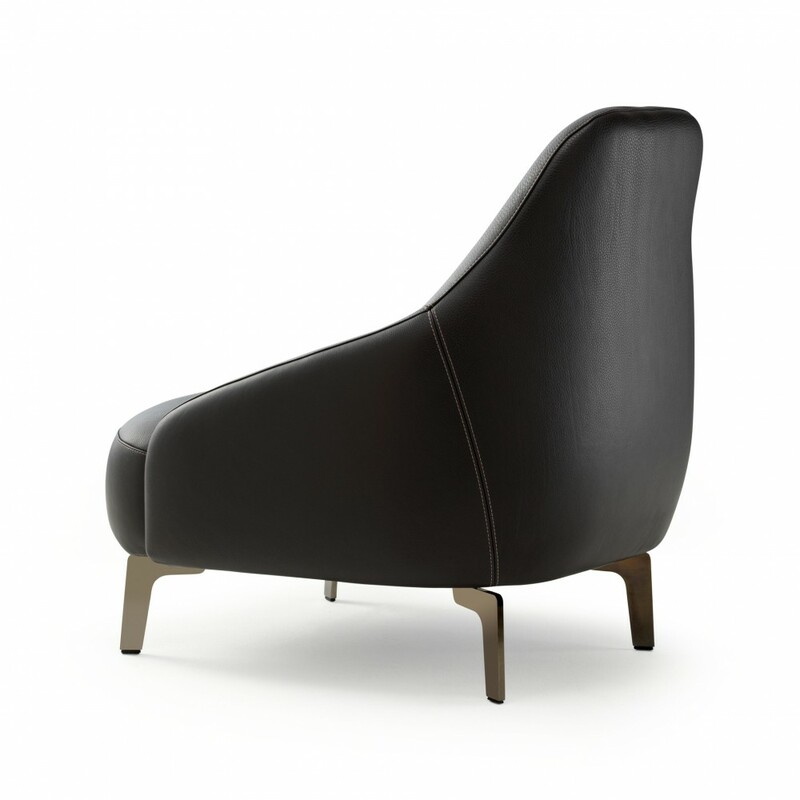 The Edward van Vliet style is distinctly evident in the armchair and chaise longue. He combines a touch of nostalgia with contemporary comfort, charming curves and elegant details, including “black nickel” legs that slightly bow inwards, so that the seat appears to float. More pleasing details appear in the decorative seams and button accent in the centre of the lower back cushion. A gift. 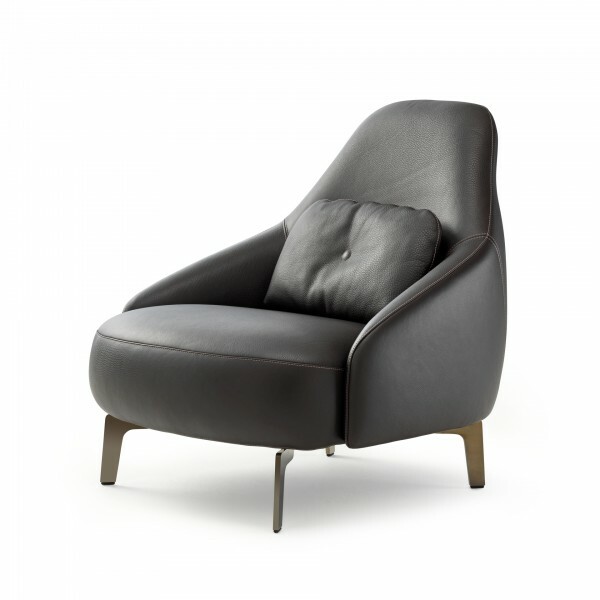 - Available as an armchair, chaise lounge, matching footstool and a bench. - Available in uni-upholstery. The lower back cushion can be supplied in different fabrics with the decorative seams being available in any color, tone on tone or contrasting. - The legs are available in black nickel. Options: Epoxy and all Leolux lacquers.